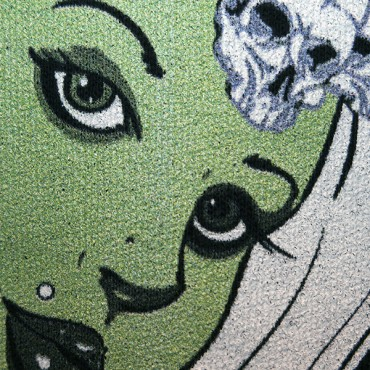 The Priestess tee design is for the voodoo loving zombie fans. The concept is to show a hot girl as a zombie surrounded by skull accessories (cross staff, ring, epaulet, tiara or crown like headpiece) and covered in tattoos. 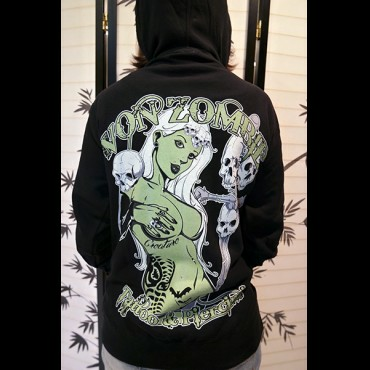 It is a self promotional piece for Von Zombie Tattoos and Piercing (located in AZ). 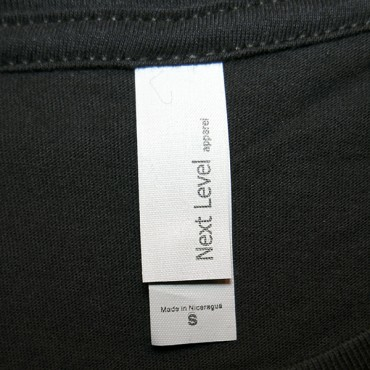 As for the artwork, the colors used in the design are White, Black and Green. This design uses solid colors with minimal shading, just enough for the appropriate effect. The colors fit the zombie theme. Simple just like tattoos should be, if there were too many details the image would get blurry and not look good from any distance. As it is this can be seen from far away and close up. As for the Print on this hoodie, it turned out better than usual for DBH. Green is definitely the color that they work best with as it comes closer to matching their image thumbnails. It is only slightly muted compared to other colors from other prints. As for the Fabric, it would had been nice to see other fabric colors offered for this piece. But Black is the best choice especially for contrast. 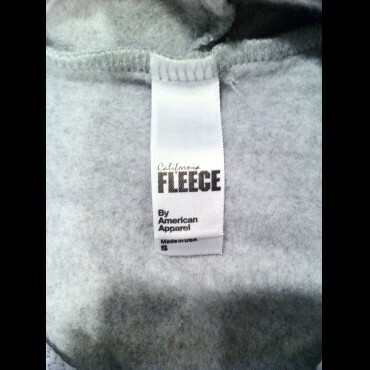 The Hoodie is comfy and cozy. Priestess Tee Design By Von Zombie. 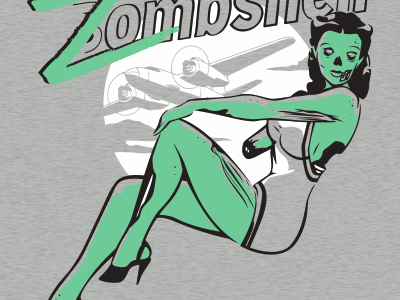 The Zombshell tee design is for the people that love pin-ups, zombies and war planes. Nothing inspires the squadrons more than a play on the word "Bombshell" along with the replacing of a stunning beauty with a rotting undead corpse of a woman. 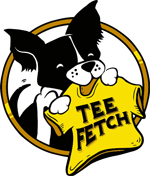 The Zombshell design is also on children's apparel. So that they may grow up to be twisted too. This tee is great for horror fans and War War I and II buffs. The artwork is decent and the concept is amusing. There is not a lot of details to get caught up in and it is similar to the nose art style used on many of the WW1 and WWII planes of which this design is derived, only more simplistic. It came with a blue ink instead of a green ink which is okay... I guess. 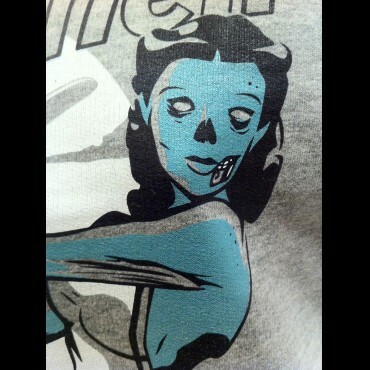 The Zombshell hoodie as shown above is screen printed on an American Apparel blank. 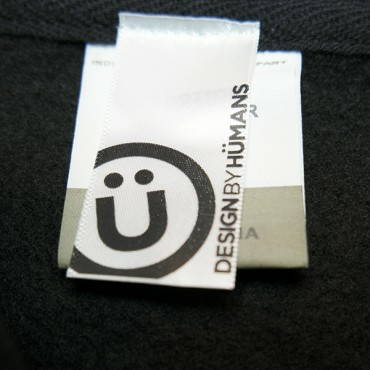 The fabric is thick and warm.